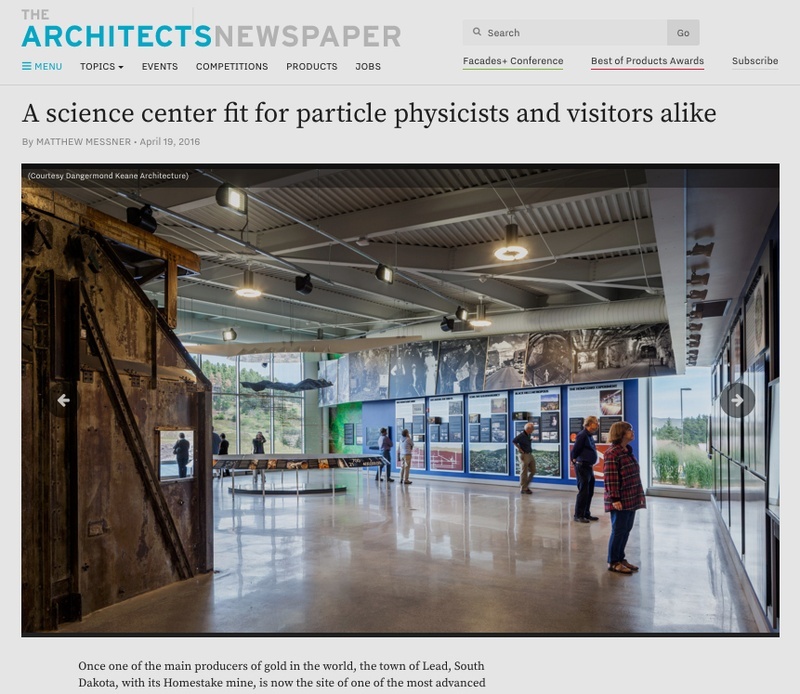 The Architect’s Newspaper highlights C&G Partners designs for Sanford Lab Homestake Visitor Center, in Lead, South Dakota, in the just-posted article A science center fit for particle physicists and visitors alike. Once America’s largest gold mine, Sanford Lab is now the country's most advanced astrophysics facility. Written by Matthew Messner, the article illustrates the Visitor Center’s educational mission, architectural design by Dangermond Keane Architecture, and permanent exhibitions by C&G Partners—with a special note about our laser-cut, 3-D printed model depicting the mine's 270 miles of tunnels and shafts, created in collaboration with Brooklyn’s SITU Studio.